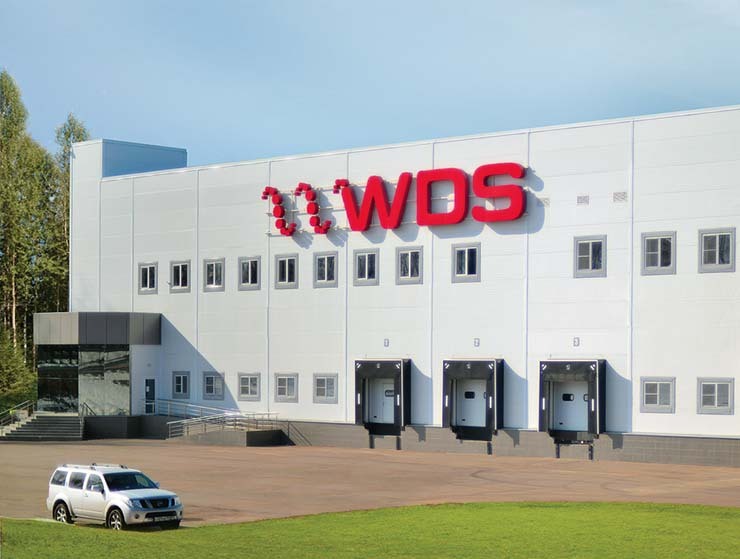 The DRC Group has conquered the markets of 45 countries of the world with their products, made using their own unique research and production technologies. 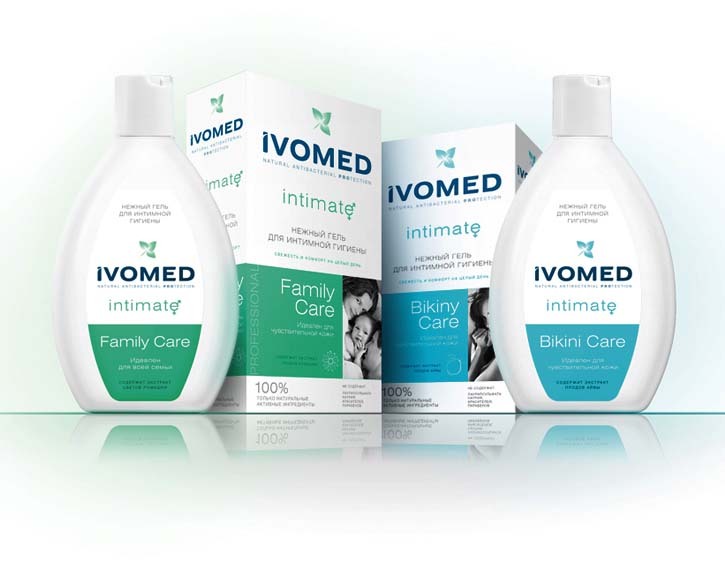 The company’s range of products includes oral care brands, cosmetics, medicinal products, and intimate hygiene brands. The company owns 50 patents that are valid throughout the world. All of this is thanks to the breakthroughs made at their own research laboratories. 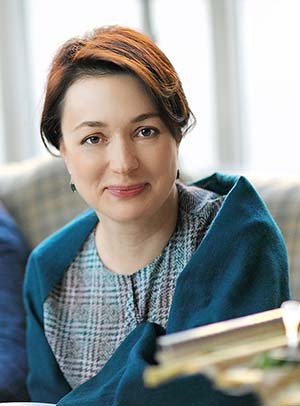 — The most unique characteristic of our company is how deep we delve into the scientific aspect of the spheres we work in — says Svetlana Matelo, who has a degree in medicine, and who has been the CEO since its foundation. — What is your driving force then? — The high degree of clinical effectiveness of our products and our human values. It may not seem to be neither the simplest nor the most common strategy for businesses in our industry, nevertheless, it is precisely this approach that forms our beliefs regarding what we do. Our activities are based on innovation. We have many patented formulas, however, they do not only exist on paper, these inventions have been realized physically in practice. Many of them have been developed locally by scientists during the Soviet era. We have breathed life once more into many forgotten ideas, having significantly improved them, adding our own changes as well. We have a wealth of knowledge and plenty of experience, allowing us to be several steps ahead and set our own pace for development for the industry as a whole. We also place a big emphasis on biocompatibility and safety not only for the consumer, but for the environment as well. — This is surprising for a successful business. — Agreed, often because for every successful business like us, there are others, for whom the implementation of new research is an additional risk. It is much safer to act conservatively, basing your business on slogans, pretty packaging, a budget for advertisements and the purchase of a stand at a store. The scientific approach requires patience. This is precisely our case. We are always on the lookout for new things, we test and develop. “ Today R.O.C.S. is one of the most recommended brands in Russia, the CIS countries, and several others. But an important reason for our success is a tangible effectiveness. — Having a lot of scientists in management probably helps with that. — Yes, for example, our Director of Production is an aircraft engine engineer, he makes blueprints for the equipment that we use for manufacturing himself. Our head technologist is a specialist in engine fuel. I am a doctor. The director of our research department is a physiologist and is one of our key specialists in the field of preventive dentistry. Many Candidates of Sciences are employed in our company, including Candidates of Medical Sciences. When we had only begun to operate, many were doubtful about our goal of entering the premium brand market with a Russian-made product. However, our strategy turned out to be the correct one. As a result, we had become one of the leaders of the market, and we also placed in the top 3 leading oral care product companies at year end. We are first in the children’s product market and the pharmaceutical sales channel by sales volume. Our product range has no cheap products, and this is not the case simply because we want the price to be high. Having spent many years doing research, we know that it is impossible to develop a product that is both cheap and effective at the same time. The truth is, in many cases, the cost of the materials needed to produce an effective product is much higher than the price of the cheapest products that you can find on the shelves. Thirteen years ago, the price niche that we set as our target for the R.O.C.S. toothpaste seemed impossibly out of reach. However, later we found out that it sells really well for one simple reason — it has a noticeable effect when you use it. What toothpaste do you, for example, brush your teeth with? — To be honest, I can’t recall right now. — Usually, if a person can recall the brand that they use, and it isn’t R.O.C.S., then I ask them to try out R.O.C.S. for a week, and then switch back to their favorite brand. 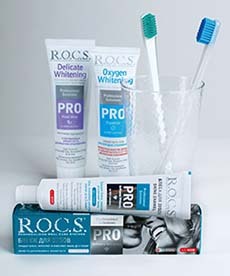 In 95% of cases, after switching back to their old toothpaste, people feel the difference and choose R.O.C.S. instead. — One can feel the effects of a toothpaste? — Of course, if there is one. And therein lies the main success of our strategy. It is not only the dentist’s recommendations that matter. Yes, today R.O.C.S. is one of the most recommended brands in Russia, the CIS countries, and several others. But an important reason for our success is a tangible effectiveness. — We have amassed quite a bit of experience working in other countries. Based on that experience, a certain attitude regarding the perfumery and cosmetics industry has formed for me. For example, I have seen for myself that Western Europe is indeed very conservative. — How did you come to that conclusion? — For example, it is very difficult for a German or a Briton to stop using the product that his or her grandparents have used, brands that have ties to their childhood. It is very difficult to motivate Europeans to change their habits and try out new brands. On the contrary, in Eastern Europe, people are less conservative. In Russia, for example, there are very high standards for products in the beauty industry: in many ways, today, we are ahead of Europe and the USA in that regard. In Russia, new technologies are immediately implemented, literally “the next day” after being developed. In the fields of dentistry and plastic surgery, many of our top specialists are world-class professionals and are often invited to give lectures abroad. The beauty product assortment on the shelves of stores in Russia is often much more varied than in good old Europe. In our country, there is a powerful driving force behind it — the endless desire of women to look attractive. Our women are ready to spend their last money on a tub of face cream! (laughs) Anything to look good. Women are decision makers when it comes to shopping, you know that. The beauty industry develops under the influence of female dominance. This is especially so in our country. However, don’t forget the men, either. The demand for “good looks” is also growing among the male part of the population in Russia, as well as throughout the whole world. — Large corporations closely watch what we do. Usually, everything new and interesting in the world is born deep inside relatively small companies. We already have a lot of influence over trends in the perfumery and cosmetics industry, as well as over the medicine industry and the field of preventive dentistry. — Which trends are these, exactly? — One of them is the validity of the omnipresent use of fluorides in toothpastes. The approach of our company to the use of fluorine compounds is very careful. We have created and patented formulas without fluorine, and the clinical effectiveness of these formulas has been proven. 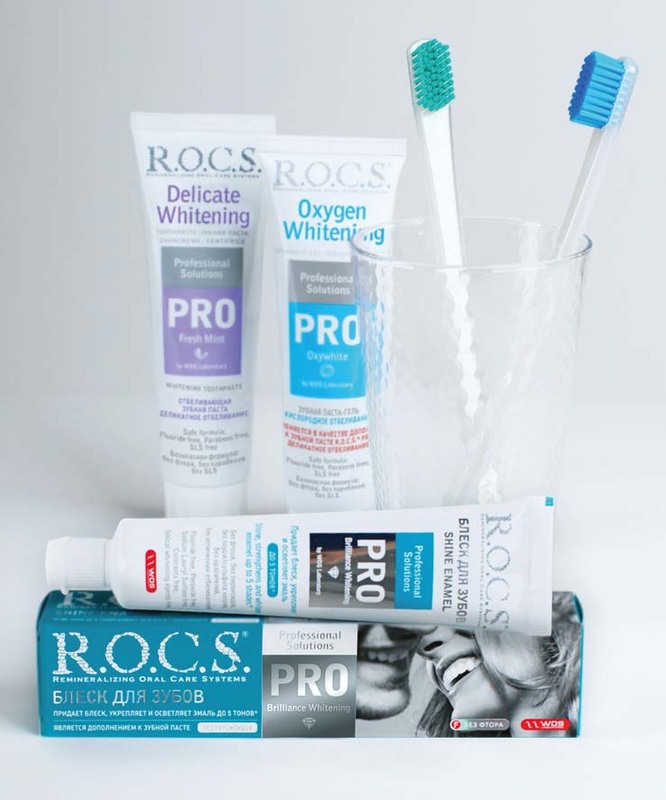 There are more and more toothpastes that do not contain fluorine, but it is R.O.C.S. that is practically the only toothpaste certified according to WHO standards as an alternative to toothpastes with fluorine. For three years in a row, we have addressed this topic in our scientific reports at the World Dental Congress. The second idea relates not only to toothpastes, but to the beauty and food industries in general — it is natural ingredients. The biological compatibility of our ingredients with the human body and the environment, as well as the safety of the consumer, is even more important for our company. Natural does not always mean safe. We actively use both natural and synthetic ingredients, but they should be of a high quality and biocompatible, hence safe and effective. This is how we position ourselves as a company. I should note that when discussing naturalness and safety, there can be a lot of preconceptions. The consumer often falls prey to misinformation. Let’s take, for example, the story with parabens and their substitutes. 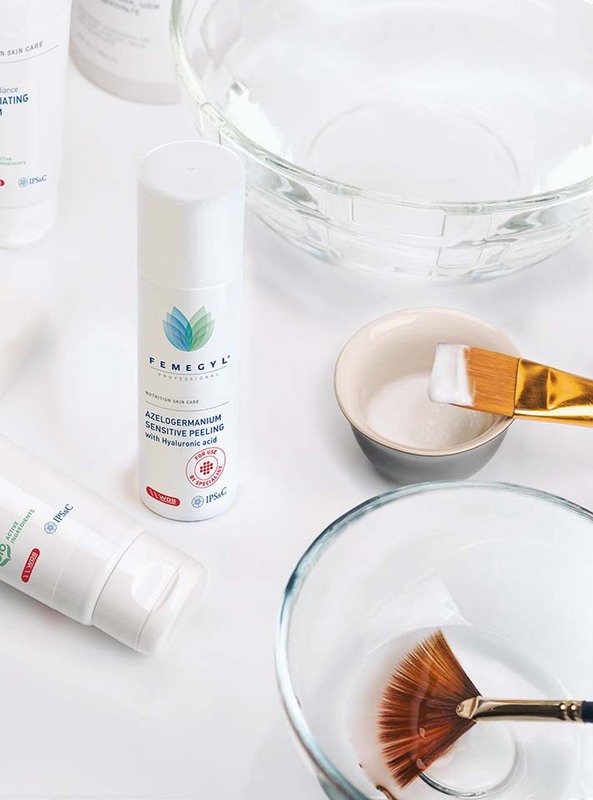 Caught up in the anti-paraben campaign, everyone rushed to buy paraben-free products, but nobody gave a thought to what the parabens were replaced with. And often, even though they are not parabens, these ingredients are far from safe! Not a lot of people know that plants also produce parabens. Everything depends on the quality of the ingredient, its bioavailability and biocompatibility, as well as on its effective concentration. Another trend is the manufacturer name becoming a guarantee of quality and safety. We are one of these manufacturers. «Biocompatibility and bioavailability of the ingredients and the product as a whole is important to us. Even so, the product can still be manufactured from artificially synthesized raw materials mixed with natural components. In reality, whether it’s synthesized or natural isn’t as important. Another example is the R.O.C.S. Medical remineralizing gel. At first, we placed the emphasis on its remineralizing effect, but during trials, it turned out that the gel also has a brightening effect. Moreover, it does not contain peroxides or fluorides and can be used by children of a young age, as well as adults. A beautiful and shining white enamel is guaranteed even for the smallest patients. — How are decisions regarding the introduction of new products into the market taken? — The decision regarding whether we incorporate a certain formula development into our product range or not depends on the degree of its clinical effectiveness and on the potential demand for it. Sometimes we discover a new unique niche. There are products in our range that are sold in limited amounts, and sometimes we manufacture them not for profit, but because there are patients that need them. If not us, then who? The UNIDENT team wishes you a peaceful and prosperous New Year! Based on twenty years of experience in the field of medicine and pharmaceutics, UNIDENT developed clear standards and development strategies for two formats of pharmacies. Unipharma focuses on the premium segment and full range of para-pharmaceutical products, while Rosapteka is aimed at customers whose priorities are the walking-distance availability of stores and optimal combination of quality and affordable prices.